Please read as this affects all riders entering LAMBRA events! A rider's team name will be pulled directly from the USA Cycling database when listing race results and calculating points for the LAMBRA. This is especially important when calculating points for the overall team. Regardless of what team name you use to register with at the races, unless USAC has made the change officially you are going to be listed according to what is in the database and so will your team. Keep in mind, all team names must be officially registered with USAC. Do yourself a favor right now and see what club/team name you have listed. If it's not the one you are riding for this year, then it's time to take the steps to correct it by logging into your account at USA Cycling or contacting LAMBRA at info@lambra.org. LAMBRA is responsible for handling all LA/MS Road, Track and Cyclocross license upgrades (except upgrades to Cat. 1) for Louisiana and Mississippi. Upgrades should be requested online through your account at USA Cycling. 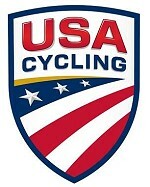 Log onto your account at www.usacycling.org by clicking on the "My USA Cycling" button. Click the "License Info" tab. Click the appropriate "Upgrade/Downgrade" link. Paste in the justifying information. You can find a listing of all of your LAMBRA race results, and all other race results that have been submitted to the USAC results and rankings database by clicking the "Results and Rankings" tab on your My USA Cycling page. At the bottom of the screen, click "View all reported race results" to see more than the most recent two years. If you are unable, for some reason, to make your request online, or if you have questions about the upgrade process or requirements, you can contact the LAMBRA Upgrade Coordinator at upgrades@lambra.org.